I've been busy. Lots and lots of training leading up to my Epic Adventure Birthday Party! So forgive this conglomerate post, but really, when I do single-sport events, it seems a little harder to write about them. This is a first-year event put on by local ultrarunner, Travis. 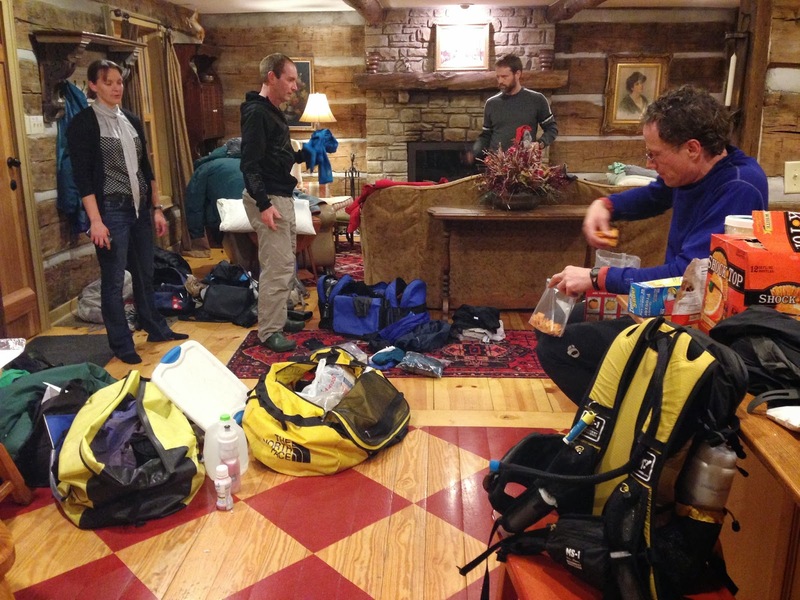 There are several "last man standing" races out there in the big wide world of ultrarunning, but I hadn't heard about them until Travis decided to host his own here in the St. Louis area. The general principle is this: there is a loop of trail, and a set time interval. Everyone starts each loop at the same time, and if you finish under the time interval, you can continue on. If you don't finish under the time interval, you are eliminated. For the Little Woods course, our loop was 4.1 miles with 200 feet of climb, and our time interval was 1 hour. About 60 or so runners started, most of us never having participated in a "last man standing" event before, me included. And it was SO MUCH FUN! Because we were only competing against the clock, and completing 4.1 miles in 60 minutes is decidedly non-strenuous, the social aspect of the race was amped up. I ran each of my loops with different people and had a great time getting to know them. Another great thing about this race was the communal aid station. Travis decided that this first-year event shouldn't have an entry fee, but he wasn't going to provide much support, either. So the single aid station at the start/finish line was potluck style. And it was incredible! SuperKate made her famous chocolate chip cookies, and I also discovered a new recipe - Scott Jurek's Xocolatl Balls. Travis also ordered us pizza that was deeeelicious. I am almost positive that I ate more calories than I burned. Completing the first loop with a bunch of new friends! So how did it go? Great! My goal for the day was a marathon, and I ended up completing 9 loops (36.9 miles) with fairly even splits, around the 50-minute mark for each loop (which gave me plenty of time to stuff my face before starting another loop). I felt good all day, but during my 9th loop I knew I had reached the point of diminishing returns. So I pulled myself from the race and ended up 2nd female, somewhere in the top 16 overall. My Alpine Shop teammate David also ended his day on the same loop. I can't emphasize enough how much fun this event was - I can't wait for next year! Ahhh, who doesn't love a good race acronym! This is the SHivering Icy Trail Run: a nighttime trail half-marathon put on by ROCK Racing, and it's in its second year. I won the women's race last year, and was super excited to come back and test myself again on the Lost Valley trails. Except the winter weather didn't cooperate, so Chuck and Robin re-routed us onto the gravel doubletrack instead of tearing up the wet singletrack (smart decision! GORC thanks you!). Still in training mode for my Epic Adventure Birthday Party, I pre-ran the slightly shortened course (11 miles instead of 13) by myself at 2:30p, then came back for the official start at 5p. The opening climb up The Mound. We started off with a sprint up The Mound, and I found myself in top women's position after the stairs, so decided to chase down the women's prime! I never go for mid-race primes but this one just sorta happened. Then I ran the outbound leg of the modified out-n-back course with David and Eric, chatting all the way. Once we hit the turn-around, David decided he needed to fully comply with the SHITR's name, leaving me and Eric to charge up the doubletrack hill. I have been feeling really strong lately thanks to a recent focus on lifting, and we pushed super hard up that hill. Then I tried to cling to Eric's heels for the remaining 4 miles to the finish. It was a tough run but I was super stoked to be able to put out that kind of effort with 20+ miles in my legs already! And then, for the last piece of training before my Epic Adventure Birthday Party, Jeff, David and I joined up with our adventure racing friends Mike and Rachel from rival team Bushwhacker to take on this 48hr rogaine. Normally, when we hang out with Bushwhacker, it's at races where we are trying to make each other hurt as much as possible. One of my distinct memories is from 2012 Thunder Rolls, where I was racing with GearJunkie/WEDALI, and we were running close to Bushwhacker late in the race. We were all struggling with the heat, and as we passed them, Scott from Bushwhacker moaned "Stop doing this to us!". That is really what it's like racing against top teams in the Midwest - a knock-out, drag-out fight for the win. 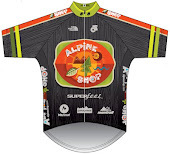 So when Bushwhacker asked Alpine Shop to team up together for POCAR, we didn't hesitate a minute to say yes. Isn't this how everyone socializes with their friends...a 48hr trek in the winter woods? CHANGE OF PLANS! I intended to write about POCAR in a short little paragraph like Little Woods and the SHITR. But then Garrison sent me the map and, like any good orienteering nerd, I've found that I have a lot more to say than just one or two paragraphs. So I'll write about that in a separate blog post. Stay tuned!! In the meantime, check out the race report from our friends at Monkey's Fist Adventure Racing!